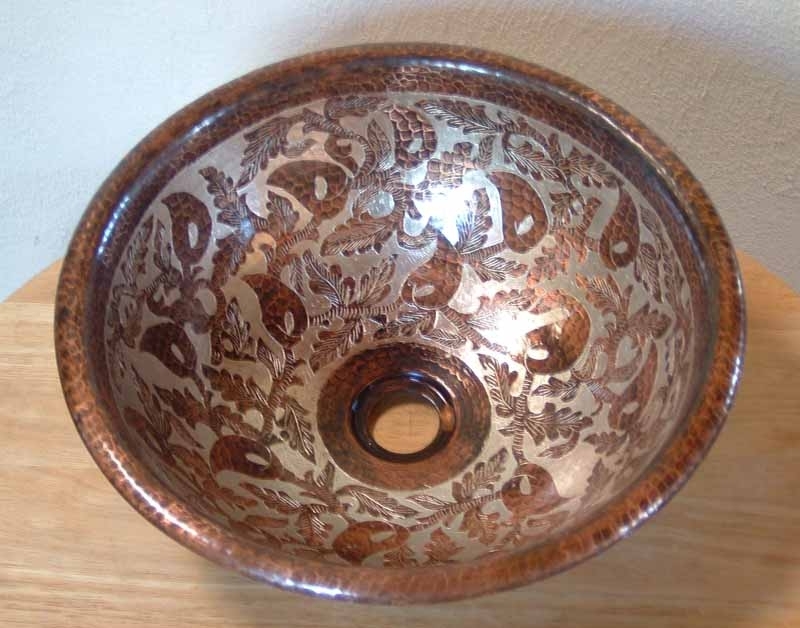 For those with discriminating taste and an adventurous spirit, Reina Plateado is a hand painted round copper sink of unparalleled beauty, elegance and style. Etched in silver, the rich details of her traditional floral pattern give her a warm, sophisticated quality that will instantly transform the most ordinary bathroom into a luxurious place of beauty. An exquisite work of functional art, Reina Plateado is guaranteed to warm your heart and put a smile on your face at the start of a busy day! custom - can be perfectly tailored just for you! Choose the size of your copper sink, then add Reina Plateado to your shopping cart. You can always remove it later!